New Jersey Wedding Photographers - NJ NY Photography | Guess who won The Knot Best of Weddings 2011 award? 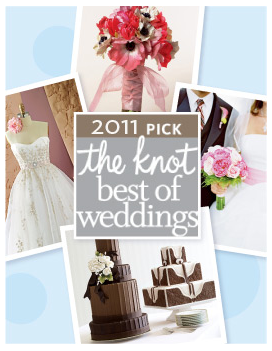 Guess who won The Knot Best of Weddings 2011 award? We are super excited to learn that we won 2011 The Knot Best of Weddings. In the words of the people from the Knot: Among the Top Ten Best Wedding Photographers and Wedding Videographers in Northern and Central New Jersey. I want to extend a big thank you to our brides and grooms who voted for us. You have made this an amazing year. To our 2011 couples, we can’t wait to work with you and create amazing wedding pictures and videos that are a reflection of your love and joy. And stay tune, 2011 will be full of surprises. Voted Best of the Knot Weddings 2011 and among New Jersey’s Top Ten Wedding Photographers and Wedding Videographers. The Wedding Central is a wedding photography and wedding video studio owned by Award Winning Wedding Photographer and Wedding Videographer, Gaby and Danny. The studio is located Northern New Jersey and serving Bergen County NJ, Northern, Central NJ, Jersey Shore and New York City Metropolitan area.